If I am the one who introduces this concept into your awareness it is my honour. But I would never claim that I am an originator of this concept. We are all a team operating side by side. 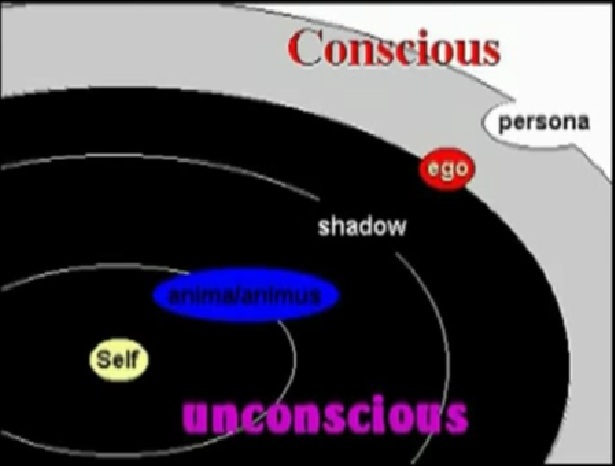 The Shadow Self is a survival aspect of our consciousness totality. To aid us in being able to endure potential issues, trauma's, extremely tough circumstances to provide a survival mechanism to overcome them. This is only a very vague and general representation. It is what the external metaphor of our inner valley of death discussed in texts through out the ages. As everything external is nothing more than an inner representation of who we are and where we may be at. If you have the courage to integrate this as a possibility. Overcoming the shadow aspects. Via healing, changing belief systems, exploring changes in situations or circumstances you may be in and obviously many more possibilities. What lays beyond is a greater integration and alignment of who we each individually are. The totality of the Self. When this occurs. Your total potential and a spiritual being having a human experience may be revealed. Intuitive gifts that need a responsibility to be understood may be offered. Increased perceptions. Access to living in your heart space. Appreciation for the enormous dance of life going on all around you. But most of all. Reduced limitations and interference via our contribution. For we are likely to have in this life time. Soul contracted instances where aspects of the shadow are triggered to be revealed. So the self imposed limits are overcome for our total potential 'when the coast is clear' to be offered. In this freewill reality. There is likely to be a component of this we need to choose to resolve. Inaction and avoidance of what seems to be to tough to deal with is choosing a path. This is why I offer the clip 'Rite of Passage' (link here). Appreciating the Shadow Self of who I am had a enormous 'observational' realisation of who I am, was and potentially could be. It gave me an appreciation for the fact that within myself. I may have areas that are yet to be explored. I accepted this with full responsibility. By accepting this. Though it may seem like challenging work. By taking that hard road. I tapped into and unleashed levels of my potential I had no reference for before. The more healing I invested in the greater my perception of my own potential came into my awareness. Self healing is a totally possible path. For me though, I found the courage to seek and expert. A master was a very powerful thing to do. Seeking help is enormously rewarding in itself. There was a distinct and obvious relationship. I saw what illnesses are for example. They are nothing more than a dialogue between the conscious awareness and your true or divine self. Having a conversation with me and all I needed to do was understand the language and location on the body being affected. When i realised this and the level of illness perceived in our reality. I just saw the enormous potential being offered to humanity at this time. Before I found Andrew Bartzis I explored and invested in a great deal of healing related to this. Michael Tsarion was a great teacher on this in really confirming for myself. That is why I offered his 'SELFHOOD PATH' video offering his perspectives (Teacher Page link here) relative to this. That healing and clearing the shadow out to a point where I met Andrew enabled me to operate along side him. I have no doubt at all had I not done my work within. That meeting in the right time would have never occurred. I would have never been able to sustain operating in his very powerful field. Nickie Thetsy and Max Steel also who are other teachers, allies and friends here now who are also very powerful. For, if you have unresolved aspects in your shadow. And you are operating with extremely powerful psychics in high level work. But choose to consciously avoid the clearing work. By the very nature of the frequencies of these beings. When they tune into the intuitive and or healing frequencies. The shadow aspects are drawn out in that total energetic bubble. Drawing it out into your conscious awareness which can have a self sabotage attribute. You go into 'Judgement' of those beings. Where some in their egoic defense. Who's place within our consciousness is only afforded by the unresolved aspects it protects our awareness from. The reaction can attack powerful people. For those powerful it is. Instinctively going at them for you being 'uncomfortable' for this drawing out the poison so to speak. You 'Project' YOUR issues at them and see them as a problem. Not your Self. Not realising this is nothing more than your own healing occurring. Most don't realise this. I can tell you it happens all the time. And, it makes it very hard to operate with people. That is why many choose to operate remote via Skype to maintain boundaries. As boundary issues and voilations occur constantly. I can assure you of that. I also am quite often now on the receive end of this. Because the choice to heal so far for a large portion on their path only is consciously chosen in 'Spiritual Crisis' times. As a last resort in a desire to return to a life of comfort. For myself, I have found that the more healing I chose to invest within my own Self. The more consistently these projection / unresolved situations of those around me are occurring as I seek to and have more experiences living a greater portion of my own existence in 'THE SACRED NEUTRAL' Andrew Bartzis shares he operates in. I have found the mastery of my own emotional state. Offers an enormous level of defense from such instances. But that is an entire topic of his worth investigating in its own right. Below are the 3 parts of my 'Conscious Explorer - Ancient Past Present Task' series which are geared to the Shadow Self. I invite you to explore them. But in doing so totally focus on you. Your consicousness may seek to see how others are behaving. Take it as a reflection of what might be reflected externally in you now. The universe has a way of working things out for all. Those individuals. If it is their lifetime to experience situations that will trigger similar paths within them. Your efforts on their path may actually constitute as interference. Trust at their right time they will also have the opportunity to have their truth revealed to them. If it is meant to be. My perception of the now is this. It is a time now to have the courage to take full responsibility of you and your own path. You contribution to the totality of consicousness of the human family via this way will offer us all the greatest opportunity collectively on a level that may not be perceivable at this time. I will also offer this. If you get what I say. Then, perhaps it is also a soul contract you may have and I am also a trigger to activate it within. I accept that. This time is when all that most courageous and advanced souls have chosen to be here now. Invested over great times and distances. To be here for Mother Earth's support. To return balance and harmony in this free will universe we all are participants of. And, on Earth now. To achieve a level of existence we have been all seeking on some level we know from our ancient past. Is possible.